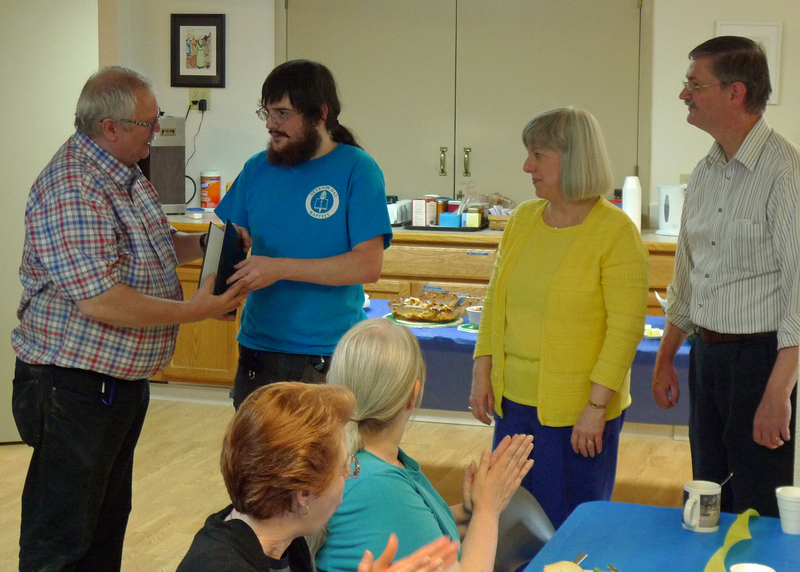 Saturday evening, May 2, 2015, the church held a dinner to celebrate Tim Lawton’s college graduation. Tim will graduate from Cedarville University with a BS degree in Electrical Engineering in December after finishing his last few classes. Since there isn’t a ceremony in December, Tim participated in the May 2 graduation ceremony. Tim’s parents, Jeff and Nadine Lawton, his sister, Sarah Uhlich, and his nephew, Roper Uhlich came to cheer him on as well as help him pack as he returns home to Rhode Island for the summer. As part of the dinner, Tim & his parents presented a Certificate of Appreciation to the church. Signed by Tim, the certificate read “to honor and recognize the confidence, devotion, guidance, and assistance freely given in helping me obtain this important milestone in my life.” Pastor Robert Van Horn accepted the certificate on behalf of the church. The menu for the dinner included lasagna, bread, and salad followed with a decorated cake from Cora’s Confections and a variety of ice cream flavors from Johnson’s. 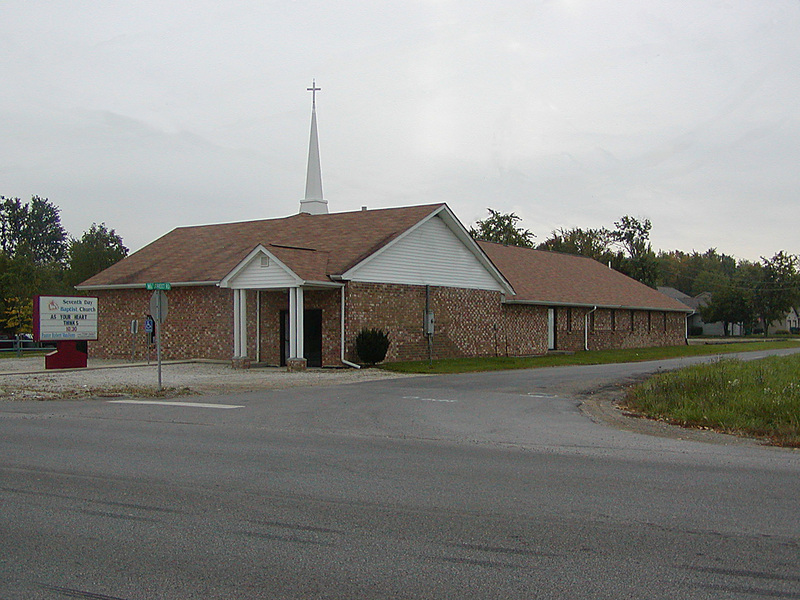 The food was delicious, the fellowship entertaining, and the evening was enjoyed by all in attendance. Previous postLOVE: Verb, Noun, or Both?